The Grade II listed Pengwern Boat Club, in Shrewsbury, western England. The three-storey ‘half-timbered’ clubhouse was built in 1881 and still forms the centre part of the existing building. 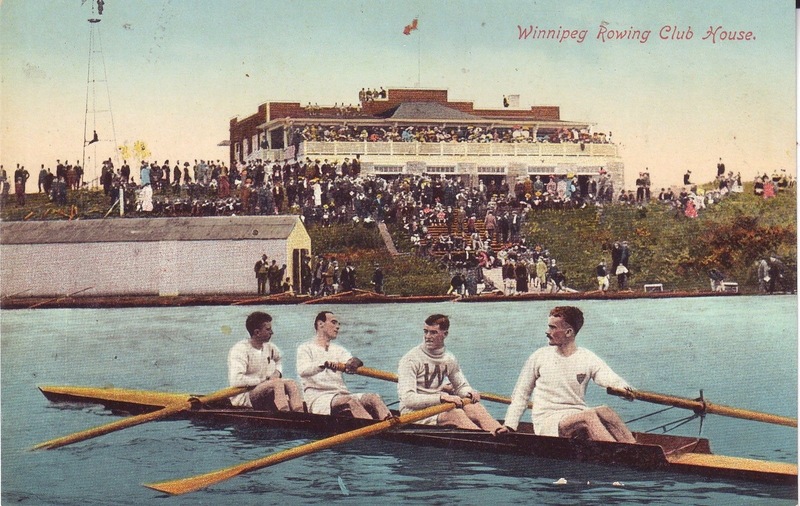 Tim Koch looks at some historic homes of rowing. The recent HTBS piece titled, “Anmahian Winton Architects to Design the Hart Perry Boathouse” has inspired me to produce a post on some of the impressive examples of modern architecture that well-financed commissions to design a boathouse have produced in recent years. Until I have finished researching this, here are some randomly collected images of rowing club boathouses from times past, all products of very different times, places and levels of funding. 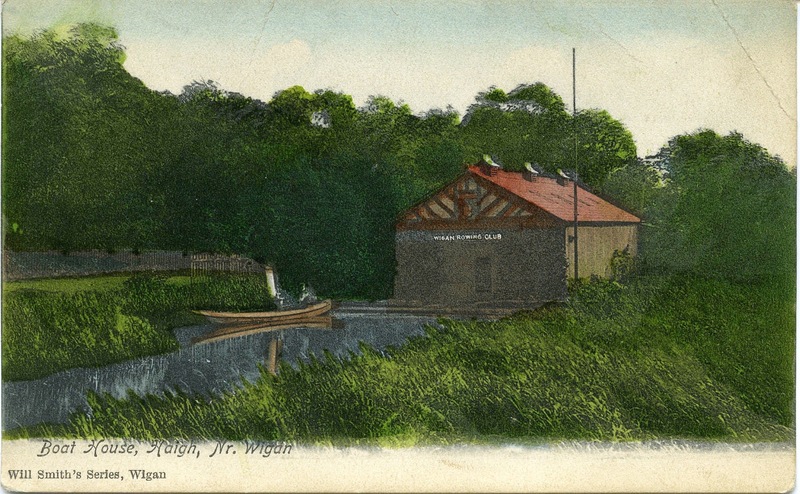 Wigan Rowing Club, once on the Leeds – Liverpool Canal in the North West of England, was clearly not a wealthy club – but still thought it worth paying for a little ‘half-timbered’ work on the front. 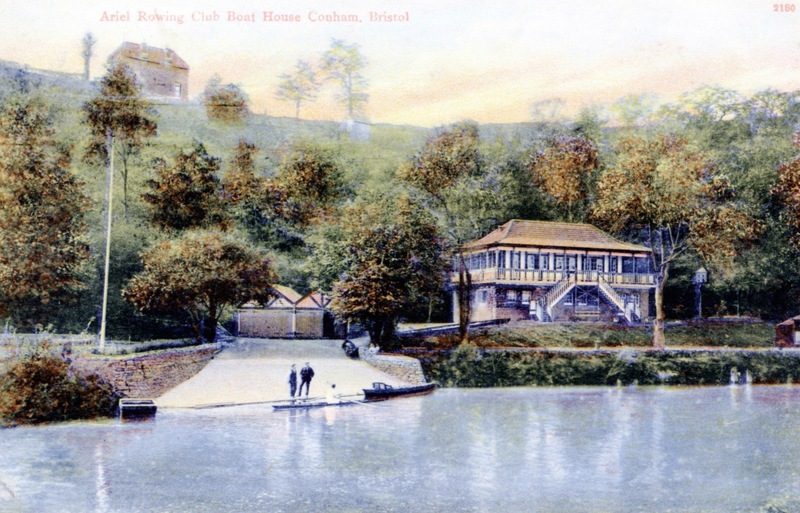 Ariel Rowing Club near Bristol, South West England, pictured c.1900. It still exists though in a slightly altered state. 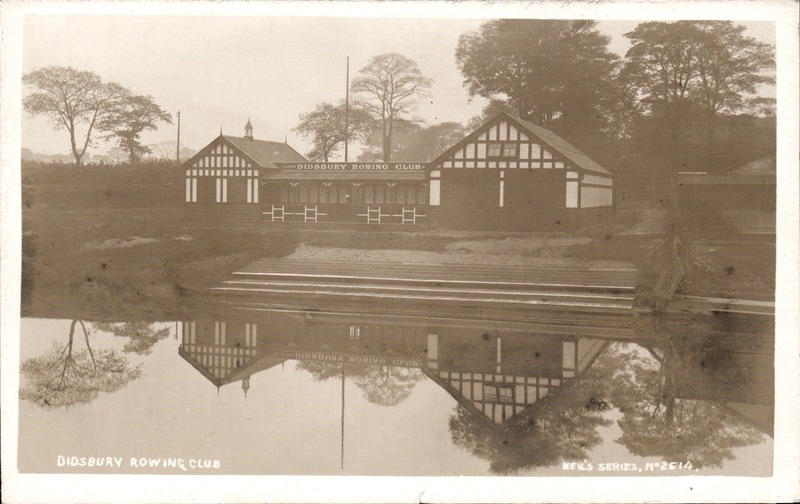 Didsbury Rowing Club was in a suburb of Manchester, North West England. More half-timbered or ‘mock-Tudor’ work. According to @wythhistory, ‘All members of the club killed in WW1’. Marlow Rowing Club, 50 km west of London. 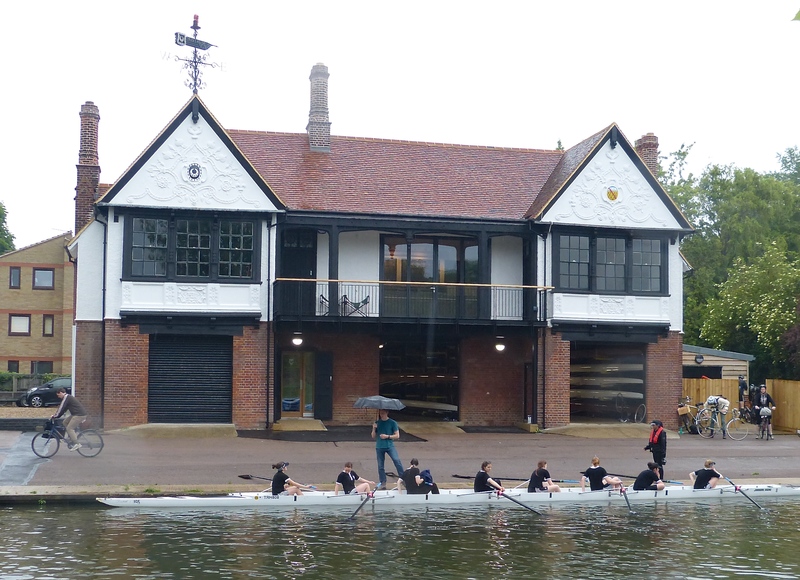 HTBS has previously reported on the fall and rise of the Marlow boathouse. 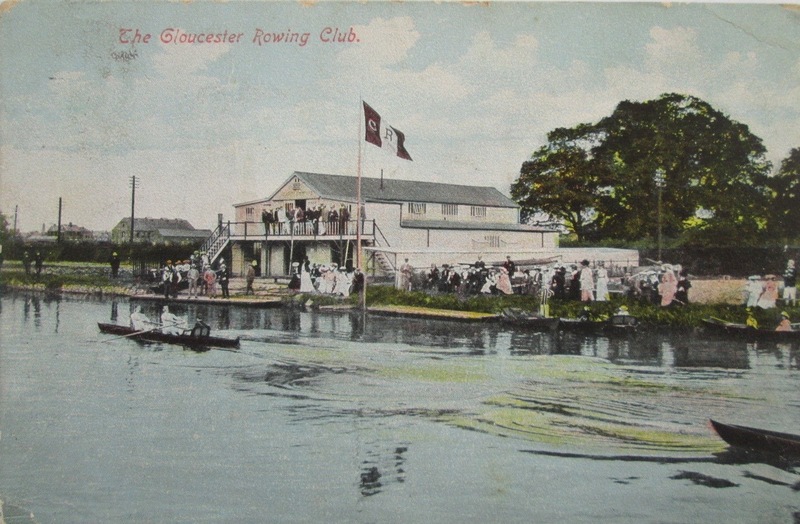 The original large and functional Gloucester RC boathouse in the West of England was built in 1900. It was replaced by the present utilitarian building in 1963, but something much superior is currently under construction. 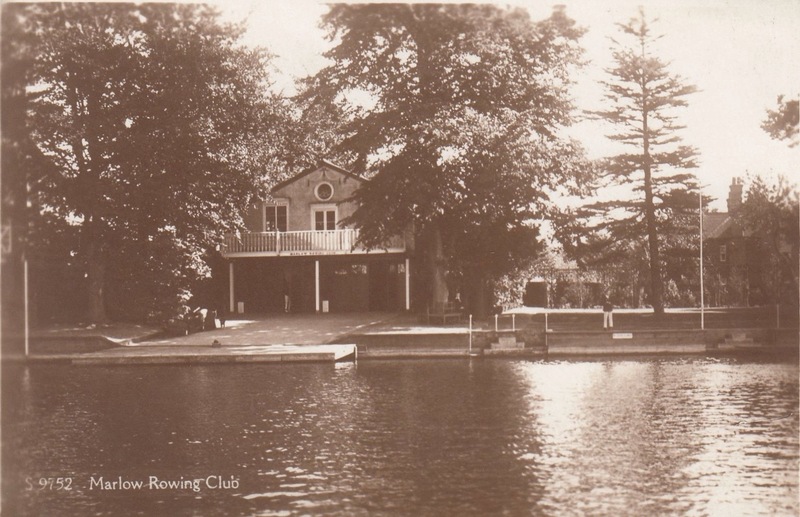 This building still forms the centre of Evesham Rowing Club in Southern England today. Later additions to old buildings are usually rather functional and rarely improve the look of the original. 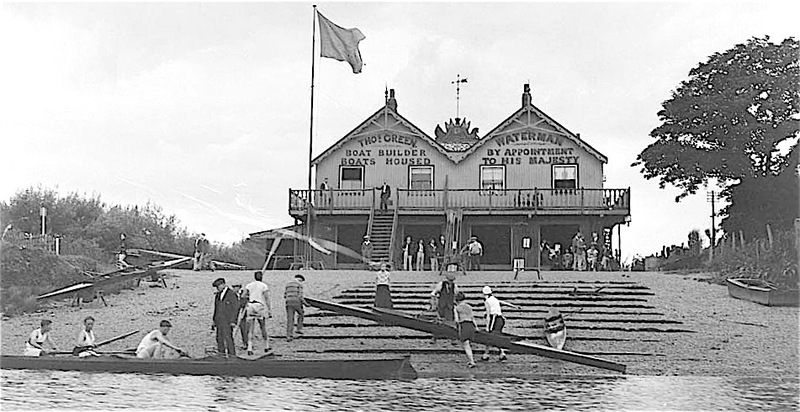 Green’s Boathouse, Barnes, West London, pictured in 1933. It was home to many clubs that would otherwise be homeless, notably ones for women and tradesmen. 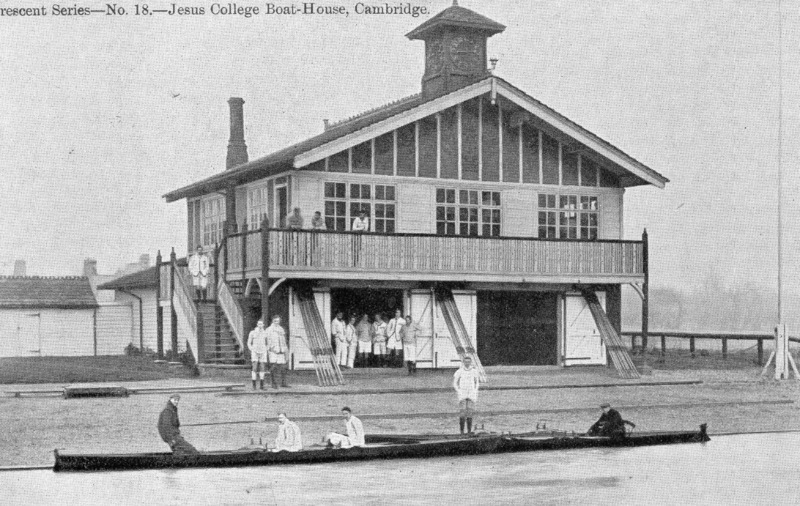 The Jesus College, Cambridge, boathouse pictured c.1903. This building burned down in 1932 and was replaced by the present structure. 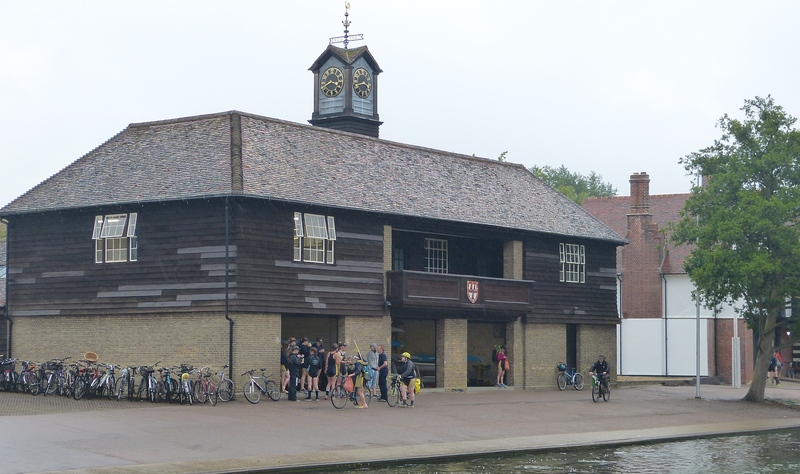 The Trinity Hall, Cambridge, boathouse, built in 1905. As is often the case, the exterior wooden steps have gone, either because they have rotted, or for security reasons. Moving to North America, as may be expected, things are bigger and better. 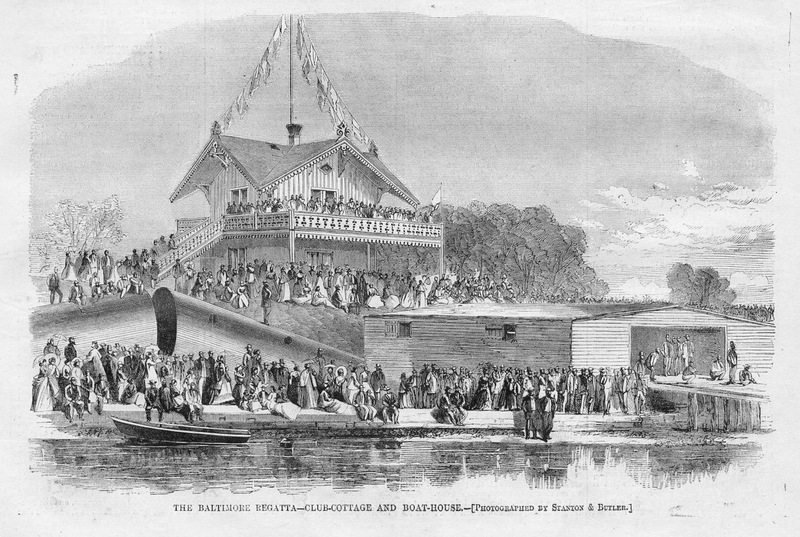 Maryland: The Baltimore Regatta of 1866. 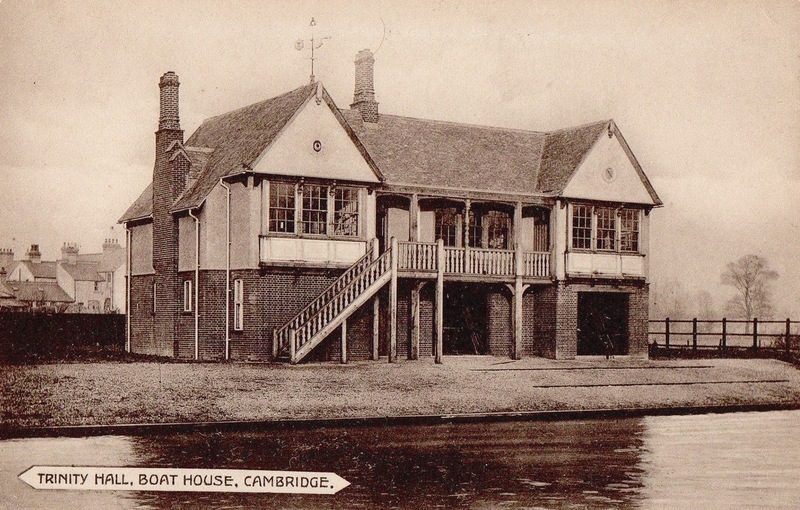 The boathouse is of The Ariel Boat Club which was chartered in 1864. 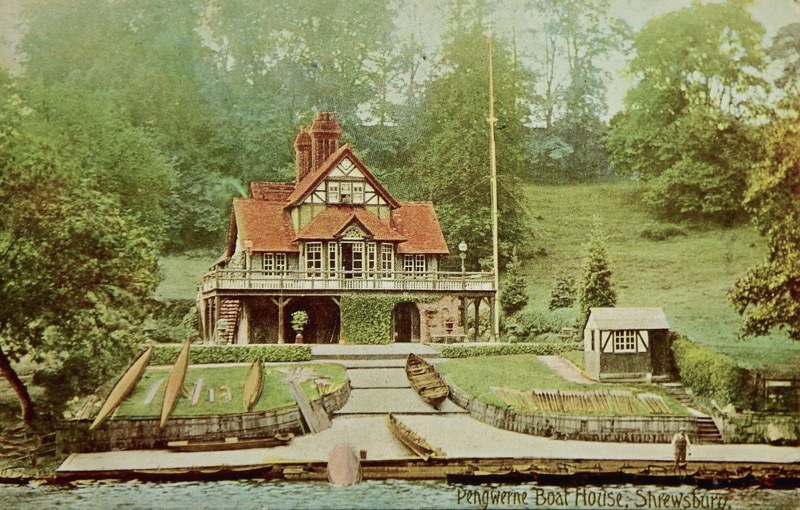 An example of a separation of the basic looking boathouse and the fancy clubhouse or ‘club cottage’. I am curious as to what the large tubular structure is in the bottom left. 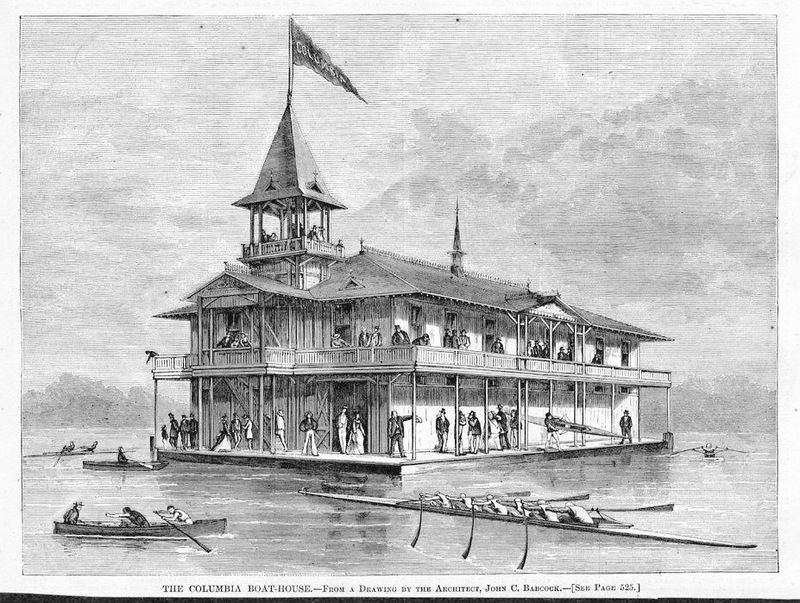 The Columbia University’s ‘floating’ boathouse pictured in 1875. 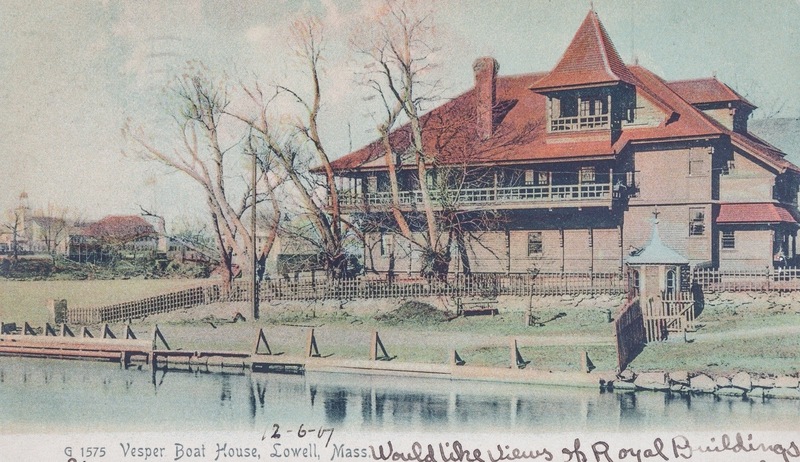 This ‘Vesper Boat House’ is in Lowell, Massachusetts, it is not the Vesper Boat Club on Philadelphia’s ‘Boathouse Row’. 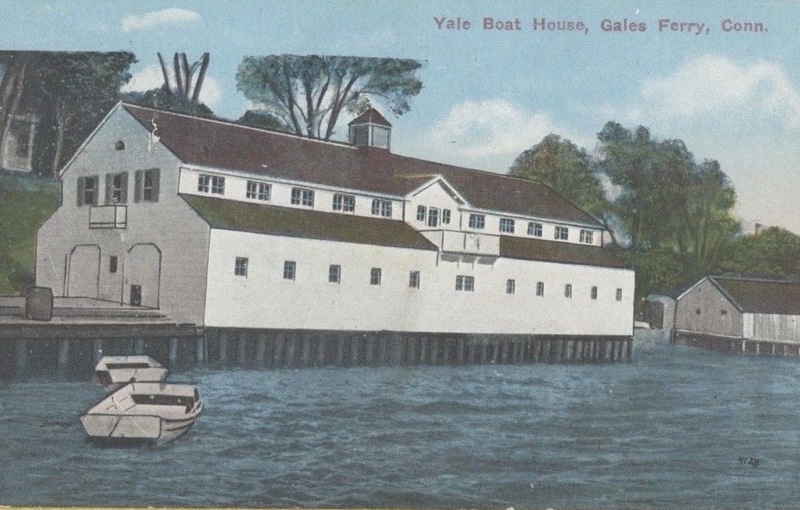 Yale’s historic boathouse at Gales Ferry, Connecticut. 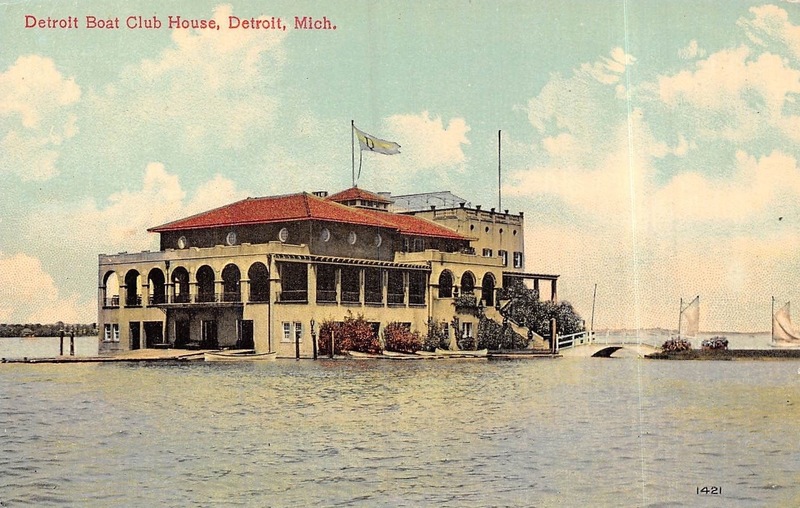 HTBS has previously written about the architecturally significant Detroit Boat Club (DBC) building. DBC was founded in 1839 and the Spanish Colonial Style boathouse on Belle Isle was built in 1902. 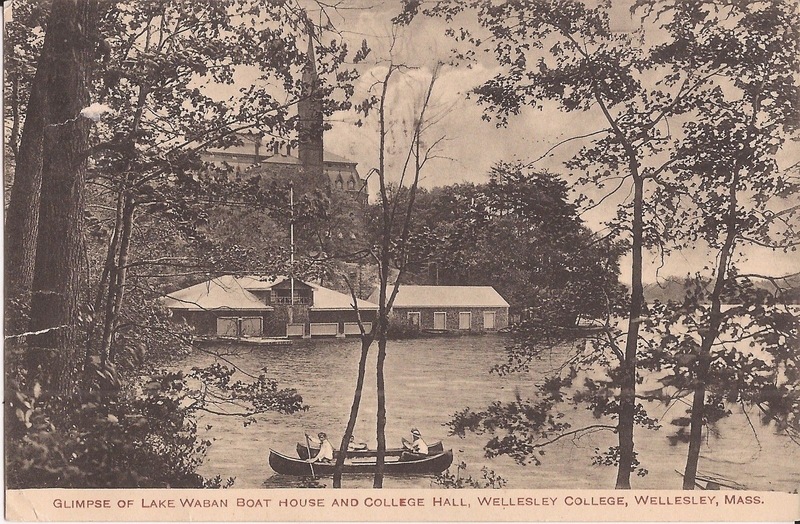 The Wellesley College, Massachusetts, boathouse pictured in 1915. 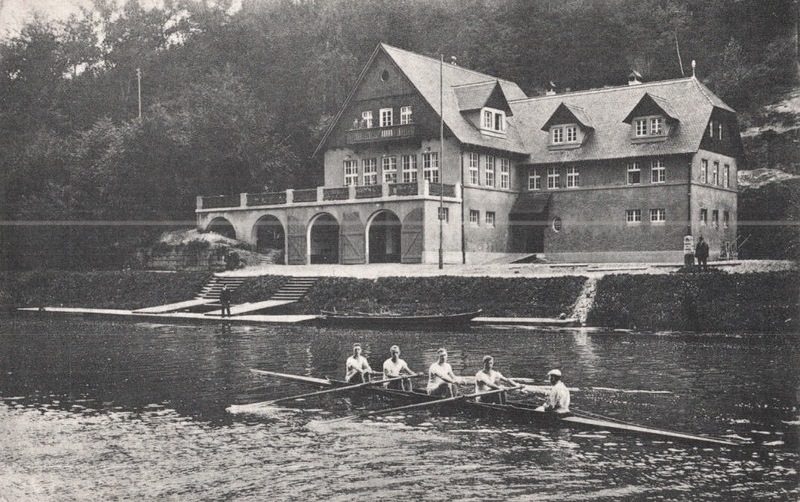 The first collegiate rowing programme for women was established at Wellesley in 1875. The boathouse at Winnipeg, Manitoba, Canada. 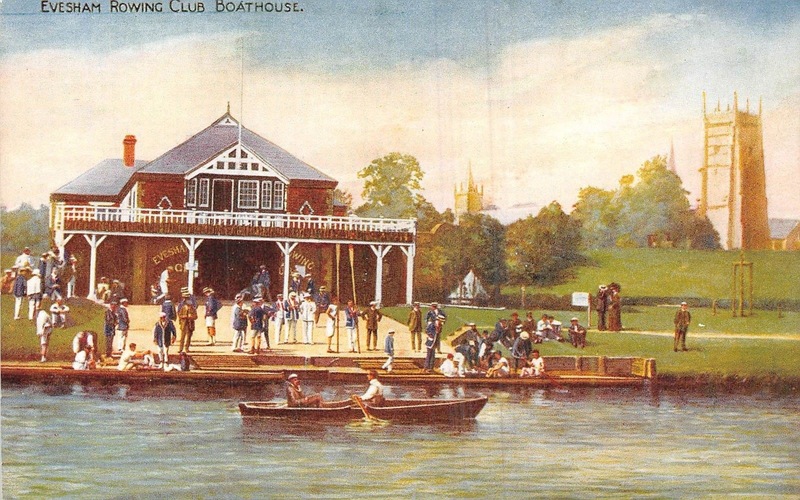 The club was founded in 1881 and won the Stewards’ at Henley in 1910. 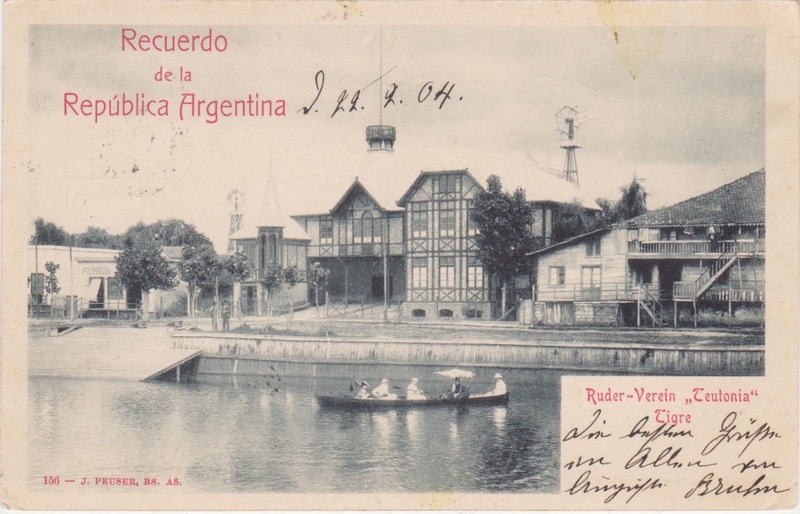 Moving to South America, this is the Teutonia Rowing Club on the Tigre, in Buenos Aires, Argentina, pictured around 1904. As the name suggests, the club was founded by members of the German community. 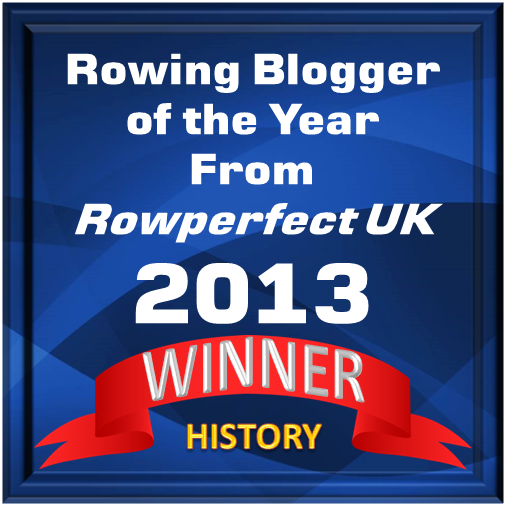 A brief history of rowing in Buenos Aires is here. 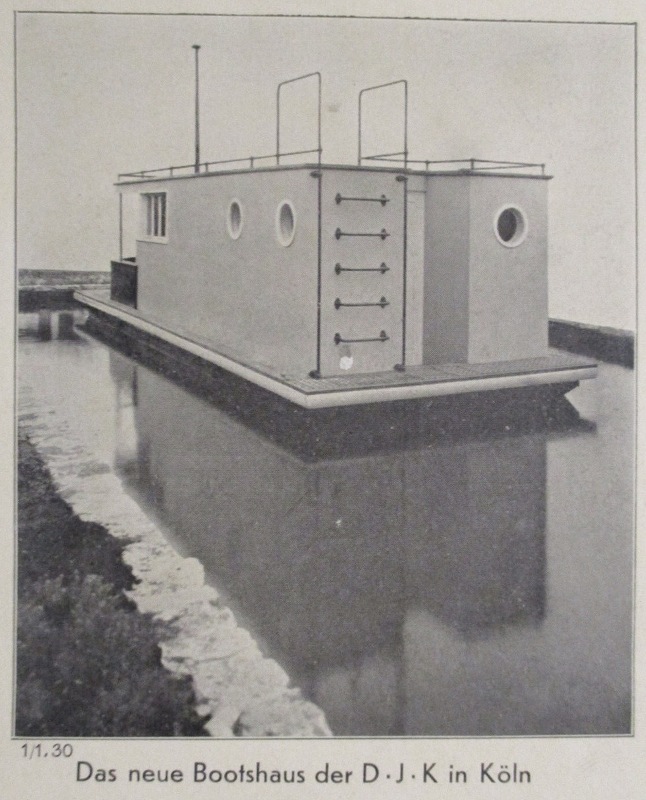 German boathouses were usually large and solid affairs. The ‘Bootshaus’ of Ruder-Vereins Bamberg in northern Bavaria is a good example. 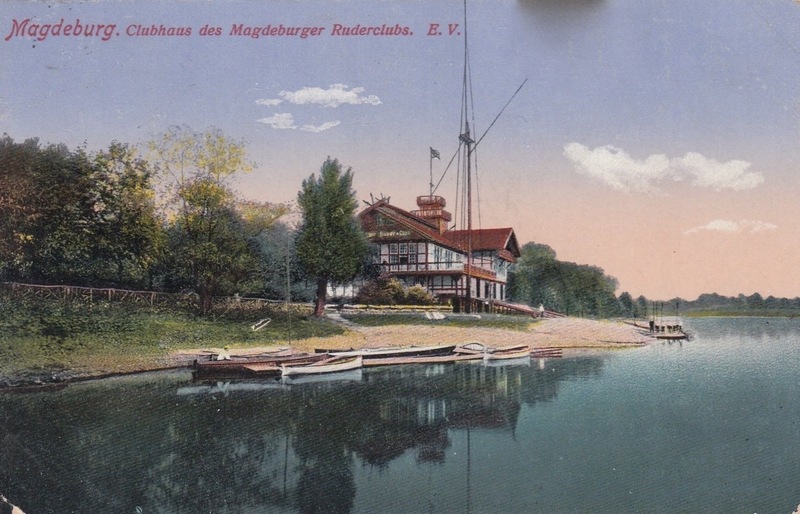 The boathouse in of the ruderclub in Magdeburg, North West Germany, pictured in 1914. An uncharacteristically small bootshause, a modest and modernest example from Cologne in the 1920s or 1930s. 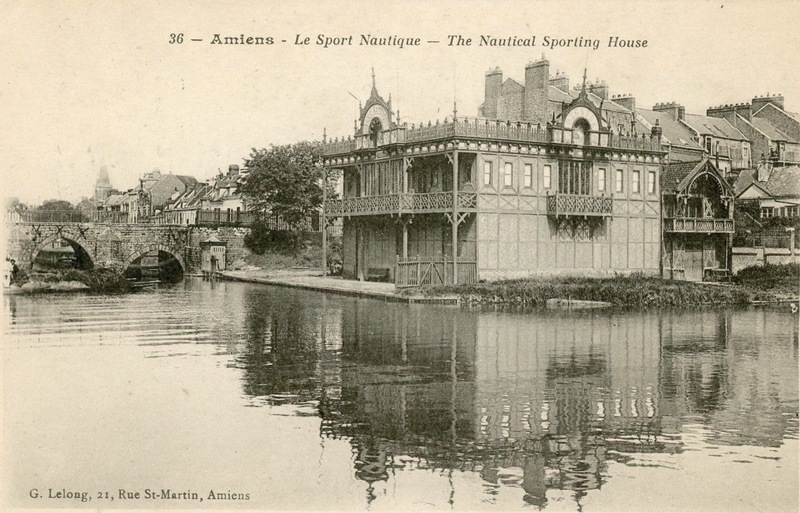 A French Fancy, the boathouse in Amiens, Northern France, pictured in 1925. The Sport Nautique d’Amiens was founded in 1866.